The winners of this year’s Express Yourself exhibition awards are now on show at the Manly Art Gallery and Museum. 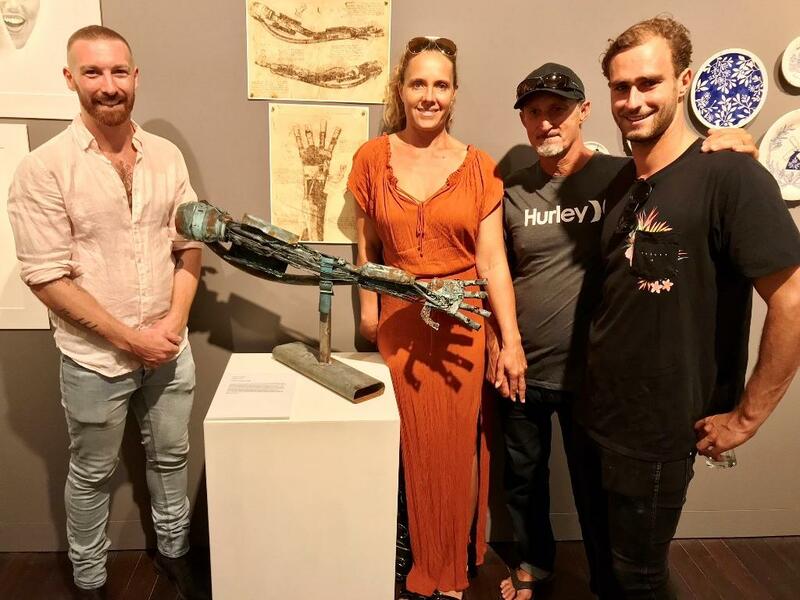 The exhibition now in its 24th year, showcases the work of more than 40 HSC Visual Art students from local secondary schools and reflect the artistic strength of emerging young artists on the Northern Beaches. It is a great achievement to be selected for Express Yourself, and beyond that there are prizes offered each year. This year’s judges said it was no easy feat to select the winners, spending over two hours deliberating. “The standard was very high across the exhibition, and making the selections was very challenging,” said MAG&M Director Michael Hedger. Artist statements are displayed alongside the artworks describing the inspirations and influences that informed the works and the students’ creative journeys. Visitors are encouraged to vote for their favourite artwork in the KALOF People’s Choice award. The winner will be announced at the end of the exhibition’s season. The exhibition is on now until Sunday 1 April.